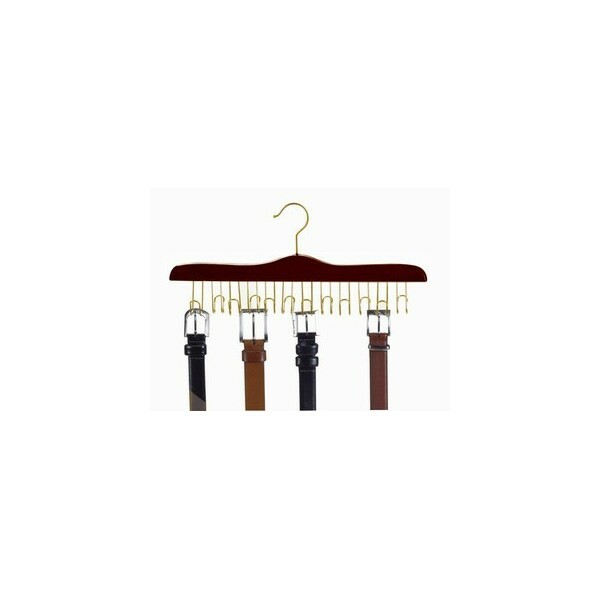 The rich walnut finish against brass hardware of this belt hanger lends an elegant look to belt storage. 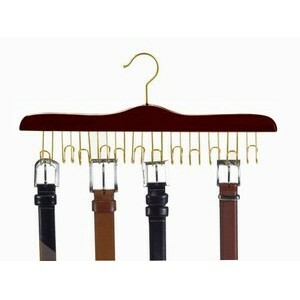 With 12 brass hooks, you’ll have plenty of space for all your beltware. Sold Individually.